Apple has released a “significant update” for its Final Cut Pro X Mac video editing software, delivering a number of new editing features and beta support for broadcasting monitoring for Thunderbolt devices and PCIe cards. The new update deliverss multicam editing “that automatically syncs up to 64 angles of video and photos,” advanced chroma keying for handling complex adjustments right in the app and enhanced XML for a richer interchange with third party apps and plug-ins. The powerful Angle Editor allows you to dive into your Multicam Clip to make precise adjustments, and the Angle Viewer lets you play back multiple angles at the same time and seamlessly cut between them. The Broadcast monitoring in Final Cut Pro X launches as a beta feature but it will enable users to connect to waveform displays, vectorscopes and high-quality monitors so that it can meet broadcast specifications. 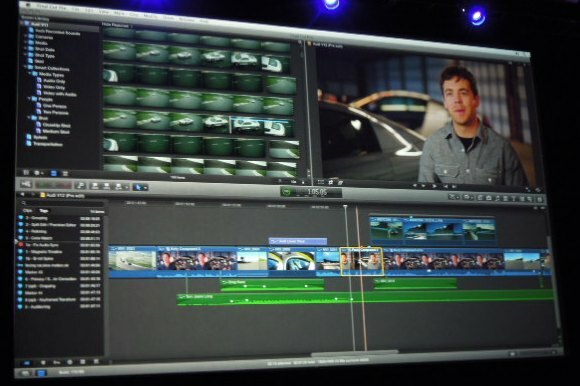 In June 2011, the company released its popular video-editing tool Final Cut Pro X on the Mac App Store with a $299.99/£179.99 price tag. With users excited to be able to download the new software in just a few clicks, the app quickly rocketed to the top of the Mac App Store charts. The update is available on the Mac App Store from today.